BHBT massage services are suited to best fit your needs. We can focus on one specific massage type, or combine multiple types to create a custom treatment plan just for you. Similar to trigger point therapy, acupressure is used to find specific points in your muscles, called triggers. It uses pressure at those trigger points to allow your muscles to relax. Acupressure is very helpful as an alternative to acupuncture. Deep tissue massage helps relieve severe tension in the muscle and the connective tissue or fascia. This type of massage is great if you experience consistent pain or injury, and/or if you are involved in heavy physical activity. It’s especially effective for athletes. Also known as zone therapy, foot massage therapy is very beneficial because it works your muscles below the skin in certain zone patterns on your feet. Raindrop therapy is healing technique that uses a sequence of pure essential oils to bring you total mental, physical and emotional balance. It combines aromatherapy, reflexology, massage and moist heat to create healing and cleansing throughout your body. A form of Swedish massage, sports massage focuses on increasing your blood and lymphatic fluid flow, reducing and eliminating pain and increasing range of motion. There are four types you can choose from: pre-event, post-event, restorative and rehabilitative. Using five styles of long, flowing strokes, Swedish massage helps to reduce your pain and joint stiffness. Also, if you suffer from poor circulation, Swedish massage helps boost your circulation. Some consider this the classic style of massage. Therapeutic massage works with the muscles below your skin surface that attach to your tendons, ligaments and bones. This relaxing type of massage is most helpful to overall muscle health, because it helps to restore your body and reduces recovery time. If you experience small contraction knots with pain frequently radiating from them, trigger point therapy can help ease your pain. These pain spots are often connected to broader and more distant areas of pain that can be eased by attention to the trigger point. In addition to massage services, Better Health Body Therapy sells a variety of products centered around wellness. You can purchase Young Living World essential oils, as well Better Health Body Therapy gift certificates in our online shop. If you have a question about a massage type, or if you are interested in booking an appointment for one of the services listed above, please get in touch. Better Health Body Therapy Massage combines professional massage techniques to bring you ultimate relaxation, stress-relief and pain recovery. Duane Evans is a massage therapist and owner of Better Health Body Therapy Massage, specializing in complete muscle health and wellness through therapeutic and sports massage. Incredibly effective, massage decreases your muscle tension and stress and also increases your energy. Better Health Body Therapy Massage also offers Raindrop Therapy to help cleanse and revive your body and is located in the Doctors Building in Springfield, MO. Duane was educated at the School of Massage Arts with an LMT in Basic Massage Therapy and was also educated at the Center for Aromatherapy Research and Education with certificates in essential oil and effects on the body. He has been a massage therapist specializing in sports therapy for Drury University Swimming and Diving since 2004 and done massage therapy during the NCAA Division II National Championships. 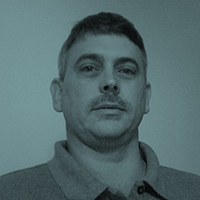 Duane is a father of two, a boy and girl and has been married for over 22 years. He most enjoys swimming, skiing, scuba diving and riding motorcycles in his free time. Duane is an excellent massage therapist. After surviving a car wreck I found Duane and under his care I have progressed quite well. I would recommend Duane to anyone with muscle or nerve damage…..or just for a wonderful relaxing massage! I have known Duane for many years. He is an exceptional message therapist. He can keep an active person limber and less prone to injury. In my case, after shoulder surgery, he helped me rehab faster. He is very respectful, a great father, and family man. He can be trusted to provide such a personal service to anyone. I highly recommend him. Call or email to set up a massage appointment or to discuss how I can best help treat your injury or relieve pain in problem areas. Business hours are Monday through Thursday, 9am to 6pm. By appointment only, please. To book an appointment online, please visit the Better Health Body Therapy scheduling page.